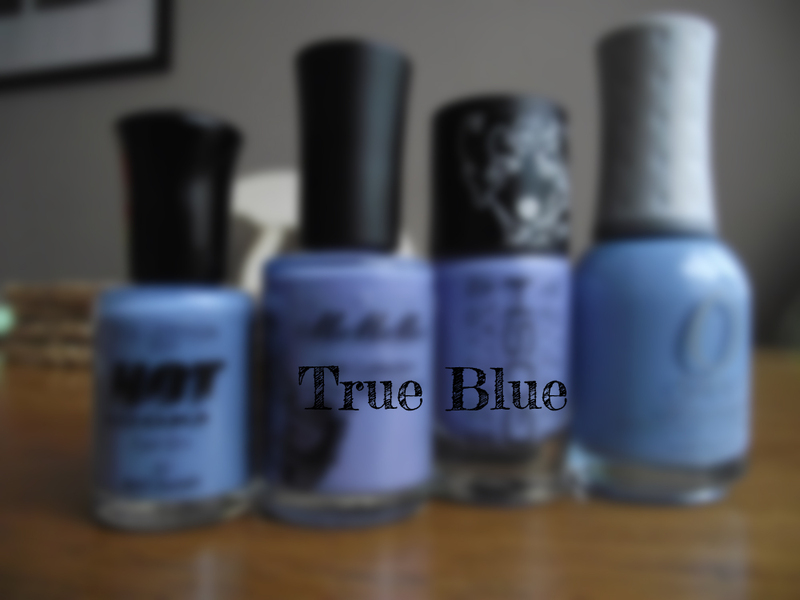 You may have seen my tweet last weekend about my love for Cornflower/Periwinkle blue nail polishes. This love affair started last year when GOSH's Lavender Love came into my life, and ever since I can't seem to stop searching for that perfect match. Sadly it was limited edition else i would gladly snap up a few. So I've resorted to stalking the net to find dupes, I've find a few myself but still not as happy. You may think after seeing the swatches that one of them is very close, I do have just one more which I am going to pick up and then I think the quest is over. GOSH Lavender Love is a beautiful pastel creamy finish in a cornflower blue or some may say Periwinkle. It's a mix of blue and lilac. In certain lights it looks more blue toned whilst in others it looks more lilac toned. OK so voting in peeps, which polish is closest to GOSH Lavender Love?? Like I mentioned above there is one more polish which I'm going to buy to see if it's a contender and that's Essie Lapis Of Luxury. Does anyone have this? It will be my first Essie polish, I put a link to the shade but hoping my Superdrug has this one stocked as it's a little cheaper. I have Lapiz of Luxury, got it just last week (my first Essie polish too!). Well impressed with it! !